I am absolutely smitten with our new suite, Dusk. 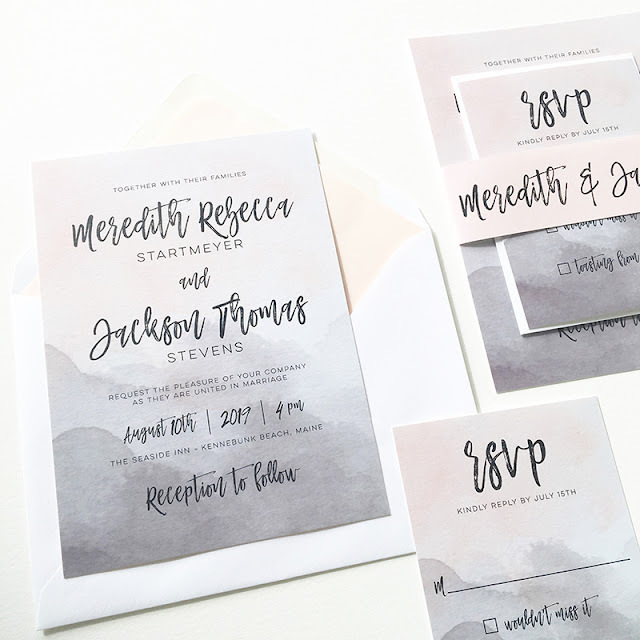 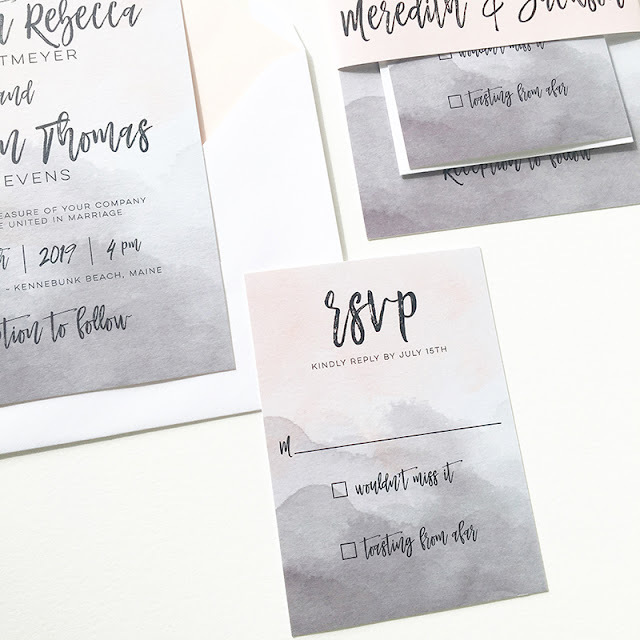 The combination of gray and pink in a cloudy sky like haze is just to dreamy! 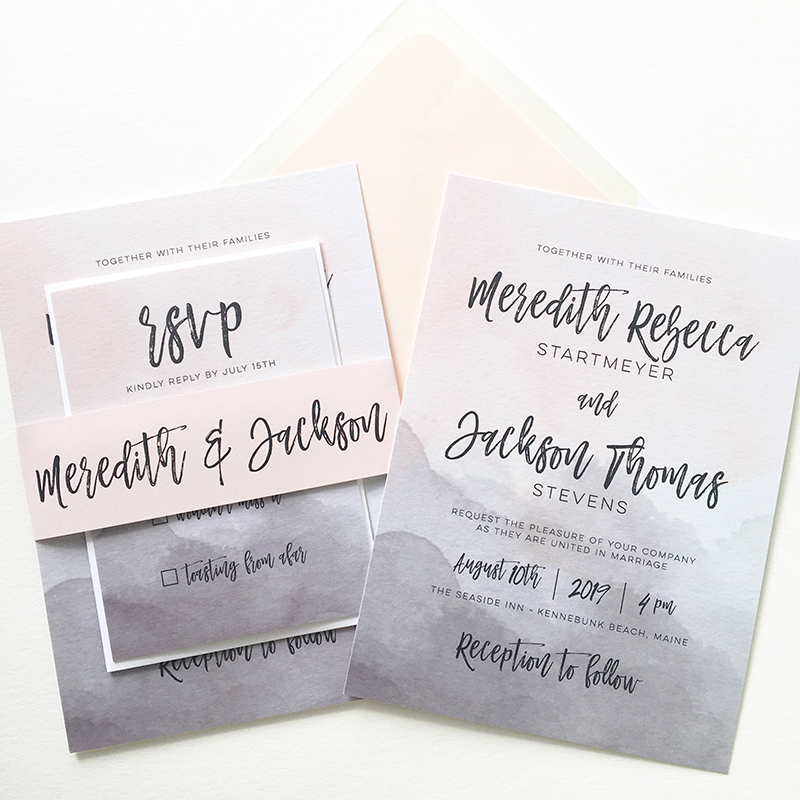 Although I've always loved a beautiful, soft pink, it seems like for a while it had vanished from the wedding scene. However, I think it is back with a bang, as so many of our brides are adding that romantic, soft feel with a peony blush pink. 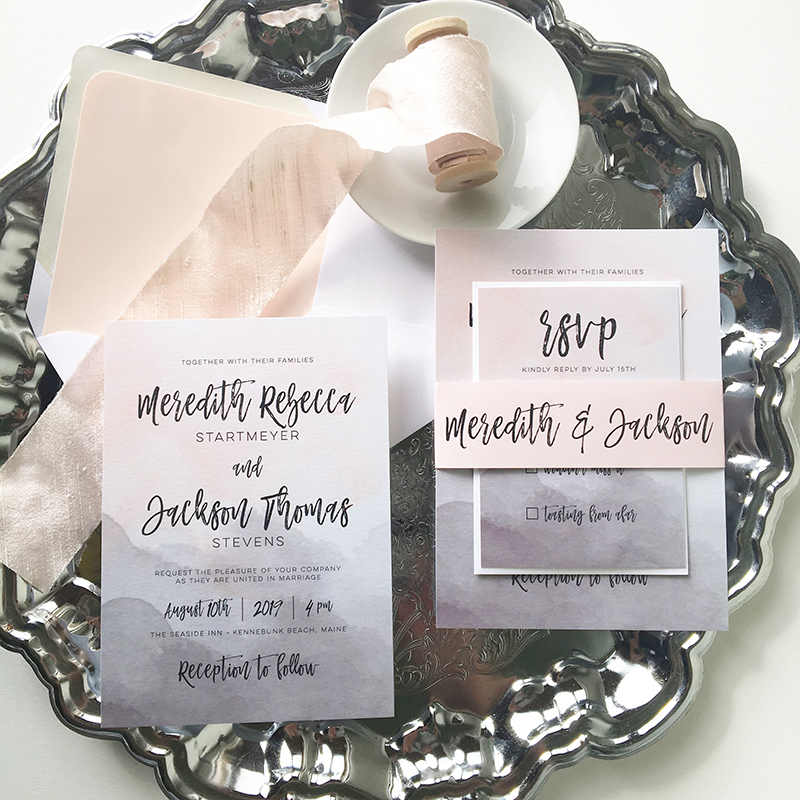 Shown here with a peony envelope liner and wrapped with a customized belly band, this suite will certainly wow your guests!